Looking for an efficient way to carry your bingo supplies, or just want to show your love for bingo as you travel? 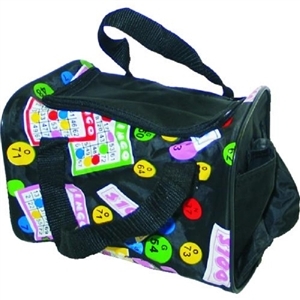 This Bingo Cube Bag is just the item for you. It features four side pockets perfect for carrying your bingo dabbers or glue and a zippered top pocket and two handles to make it comfortable to carry. Measures approximately 8.5"l x 6"w x 5.5"h.